I found these great beads at the Arizona Bead Company -- they're Mirage"mood beads" -- thermosensitive beads that change into purples, blues, greens, ambers, and magenta based on the temperature. Unlike the kitschy mood beads, these high end beads are of high quality, and the color change is near-instantaneous. 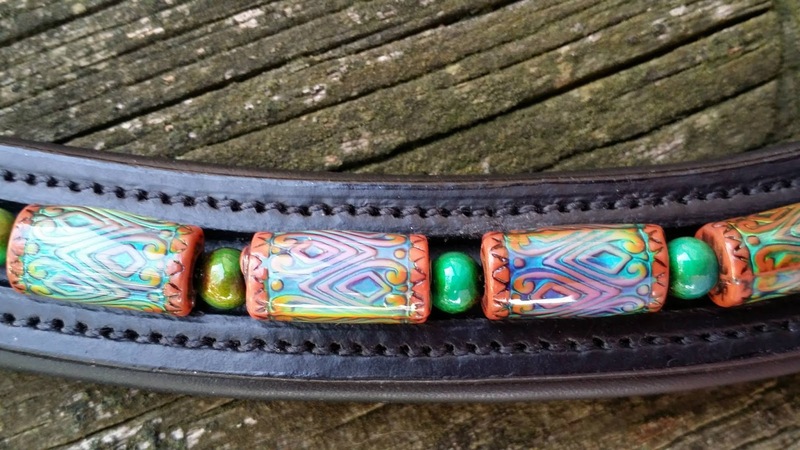 They are a bit expensive but Oh, I love this browband. $90 from my store on Etsy, BTBbrowbands. 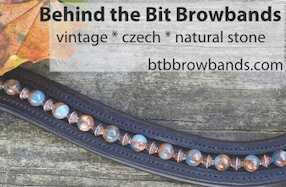 More photos on the Facebook BTB Browbans page. Love this one! Those beads are too cool. If I had a horse I'd totally get this.